An industry leader since 1960. Producing component fabrication to assembly. A rigorous in-house quality assurance program. Reorders are simple and efficient. The latest CAD/CAM tool design and development tooling with state of the art EDM machines. Low to high volume capability for numerous types of industries. 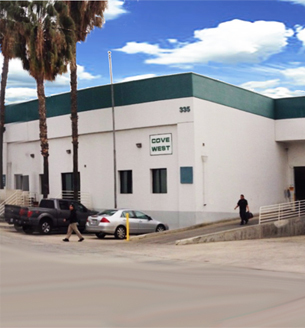 Cove West has a distinguished company profile in addition to a spotless reputation in their field. Cove is recognized in the industry since 1960 for it’s meticulous in house quality product engineering and production. Consequently, this company can handle any project from start to finish. Thus, every project is handled with expert craftsmanship and exceptional quality. Furthermore, they assist in any stage from concept to design manufacturing. As your single source supplier, you can save valuable time and reduce costs by eliminating the middleman. In Conclusion, coordination problems are reduced since all your work is done right here where Cove West handles everything for you. Use Our Expertise to Design and Build Your Solution!